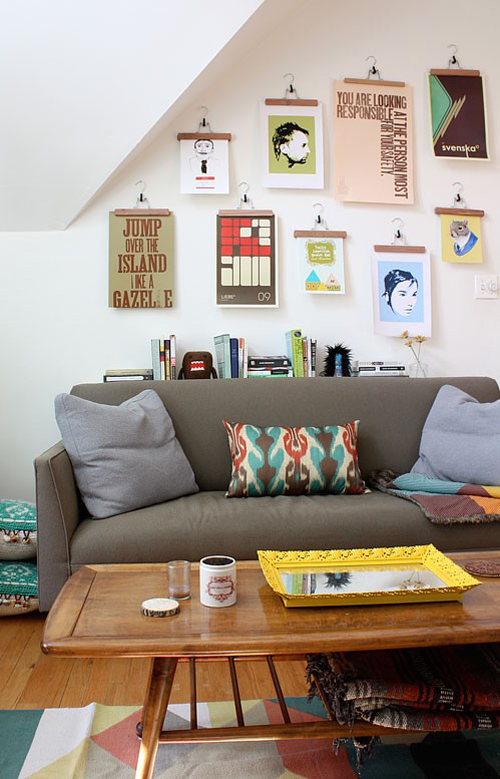 Today I’m loving … displaying artwork with pant/skirt hangers. This is a budget friendly solution (you can get these hanger for less then one USD/EURO at IKEA) as you don’t have to get your artwork framed. And it looks good as well! This is one of the ways I’m displaying my design work in my office! Apparently I’m not the only one who thinks that this is a good idea!! Love the pics! 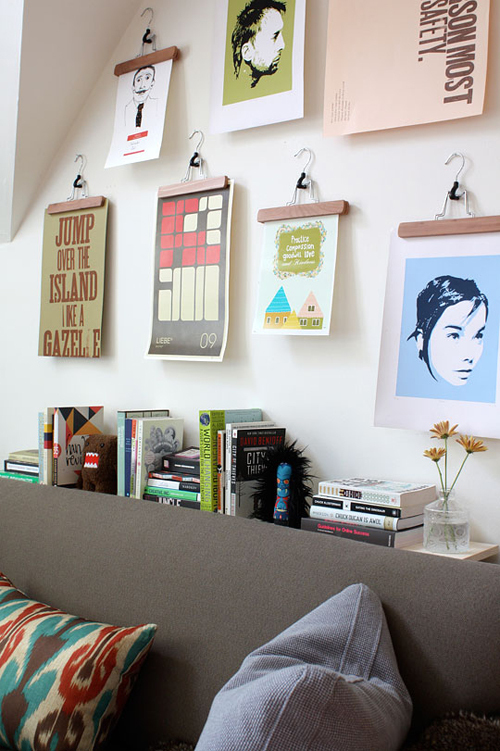 What a brilliant way to display a collection of posters, I’m totally doing this! By the way, where can I find that great red, brown and tourquoise throw pillow? Hey – will it be okay if I show these photo on my danish blog? Pingback: DIY : les supports - Eille la cheap!